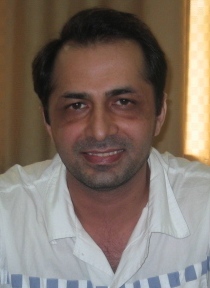 According to the received information, China has executed a Pakistani citizen, Mr. Zahid Hussain Shah, yesterday, September 21, 2011 in Shanghai, China, on drug smuggling charges despite the last-ditch appeal for clemency from his family and human rights groups. The BBC reported that Shah was put to death by lethal injection in Shanghai on Wednesday. The Asian Human Rights Commission, along with other rights group and world media, did all its efforts to save his life till the last moment. The AHRC repeatedly tried to persuade the government of Pakistan and President Zardari to urge the government of the People’s Republic of China to commute his execution to life imprisonment. All those efforts remained fruitless. Nobody bothered about a life victimized by a closed door society and condemned by the negligence of the Pakistani Embassy in China. Shah’s execution might have been delayed or stopped had the President of Pakistan spared a few minutes to telephone to the President of Peoples Republic of China, in a similar move to the Philippine case. On May 2011, the Philippine government hurriedly sent a delegation lead by his vice president to China. The delegation met the President of China and urged him to commute the death sentence of three Filipinos who had previously been sentenced under the same charges of drug smuggling. The President of China then kindly commuted their execution. What the Philippine government could achieve to save the life of three persons, the Pakistan government was unable to try when the life of only one person was at stake. The indifference shown by the government of Pakistan towards its citizens’ lives is very much regrettable and it illustrates its lack of respect to the fundamental human right to life. The human beings, in the government’s eyes, are not worth more than creatures that do not get the right to enjoy the blessings of the life given by God. By dint of disrespecting the rule of law and denying justice, the society of Pakistan is also becoming insensitive to the fundamental right to life. The Pakistani media, which praises its independence and freedom, has not bothered printing a single line calling for the protection of Shah’s life. There was not a single mention of Shah’s execution in the national media, only the foreign media showed concern about the death sentence. Even the legal fraternity totally ignored the issue. The civil society’s indifference is both condemnable and regrettable. 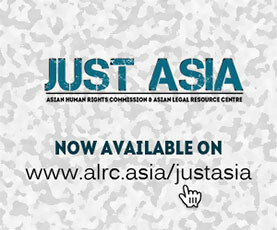 The Asian Human Rights Commission presents its deepest condolences to the aggrieved family for his execution. The blame falls on the indifferent attitude of the government of Pakistan which does not grant the right to life the fundamental respect it deserves.